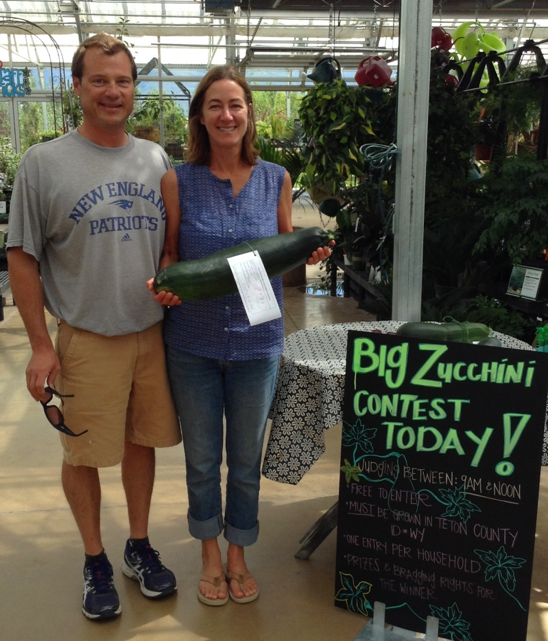 It’s almost time for our annual Big Zucchini Contest. Bring in your homegrown zucchini for judging between 9:00 am and noon on Saturday, August 13th. 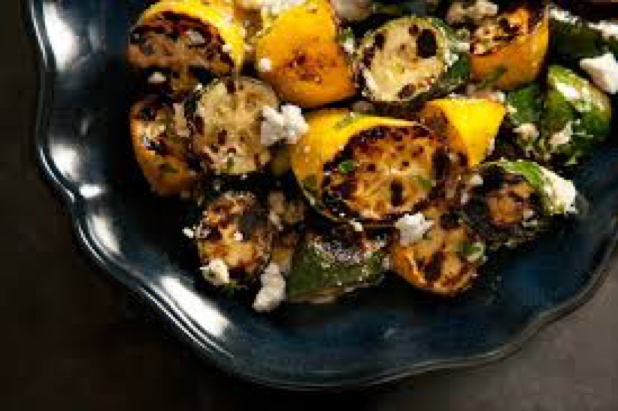 Zucchini must be grown in Teton County Idaho or Wyoming. Contest is free to enter and fun for all ages. One entry per household. The winner gets bragging rights and a $50 MD gift card! It’s time to give our plants a home. Stop by and scoop up some terrific deals! Bring Your Best! Since 1923, Teton Valley residents have been entering their best garden, kitchen, sewing, art, home furnishing and photography projects in the county fair. All ages and abilities can enter and will receive a ribbon. To enter, drop off your items at the fair building between 12 pm and 7 pm on Tuesday, August 9th. For a complete list of entry categories click here for a copy of the fair book, open class entries are on Pg 15. For more info call: 208-313-6930. Thank you and we hope to see you at the fair! Screening is an important part of landscaping. We all love our mountain views, but the view your neighbor’s RV? Not so much. Screening eases the eyesores and adds beauty, privacy and interest to your property. Before planting anything, be aware of how tall and wide a particular plant will grow. Proper placement and spacing will allow for healthy growth and spare the headache of crowded plants down the road. Take the time to visualize what you would like to screen. Look at the site from different vantages: from inside your home, from your deck or from your driveway. You may want a straight hedge or a combination of a few plants in differing heights. Colorado Spruce: These big, beautiful conifers are our best seller season after season. Dense branching covered with bluish-green needles offer year round screening. Mature height is 60 feet mature width is 20 feet. Peking or Hedge Cotoneaster: This durable deciduous shrub has dense branching, helpful for screening even after the leaves have dropped. Rounded shape up to 6 feet tall and wide with glossy deep green foliage. Cotoneaster is a great choice for a hedge and takes well to trimming. Red fall color. Siberian Peashrub: A great choice for a tall, drought tolerant shrub. Dense branching helps screen in winter. Pretty yellow flowers bloom late spring. Grows up to 15 feet tall and 10 feet wide. Mugho Pine: This is the best low growing evergreen in our region. Ball-shaped shrub with long needles up to 6 feet tall and wide. 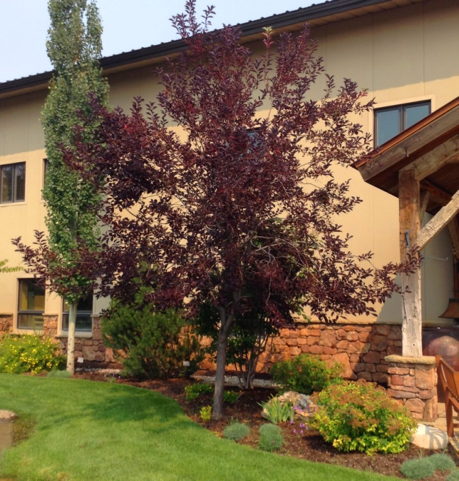 Canada Red Chokecherry: In its shrub form, this regional staple will grow up to 15 feet tall and 10 feet wide. Though the branching is not as dense for screening in winter, the deep purple foliage makes a nice contrast combined with other plants and will screen well until fall. Alpine Currant: This is one of best choices for a lower growing screen. Dark green foliage and dense branching grow up to 5 feet tall and wide. Dogwood: These hardy shrubs grow up to 8 feet tall and wide. These natives have the added bonus of vibrant red stems for lovely winter contrast. Swedish Aspen: These gorgeous aspen grow up to 40 feet tall and 10 feet wide. Their narrow profile make these ideal for closer spacing to offer a tall screening effect. Vibrant orange-red fall color make these a standout. Blister beetles are named after their poisonous secretions of the chemical cantharidin. This chemical irritates the skin on humans causing blisters. Cantharidin was once used as a remedy for wart removal. Blister beetles are about ½ inch long soft-bodied beetles. Their antennae are about a third as long as their bodies. There are hundreds of species ranging in color from black, grey, striped or solid. In their larval stage, blister beetles are beneficial, seeking and consuming grasshopper eggs. In their adult form, however, these pests can damage vegetables, flowers or shrubs. Hand picking: Using gloved hands, remove beetles from plants. Dump into a bucket of soapy water or squish them. Row Cover: This will keep migrating beetles off your plants but will not help if they are already present. 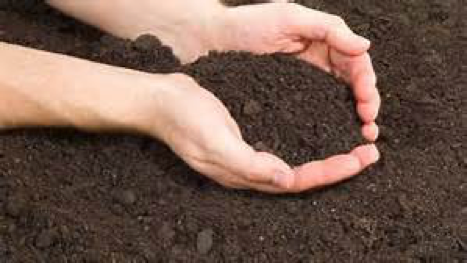 Diatomaceous Earth: Sprinkle on and around affected plants. Spinosad: An organic pesticide can be sprayed on plants. Always read label before applying. The MD Excavation department provides the base for many of our landscaping projects. From grading and drainage to creating berms and installing boulders, this team creates the backbone of the landscape that follows. This summer, we have had the privilege of installing a beautiful bronze bronco statue at the Jackson Hole airport. The project incorporated beautiful boulders extracted from our rock quarry in southeastern Idaho. Native perennials, shrubs and trees were added to complement the stunning setting. This recipe is very adaptable. It’s a great way to use up the bounty of greens from your garden or what has been lingering in your fridge for a while. Feel free to play around with this recipe depending on what you have on hand. Broccoli, mushrooms or red pepper are all possibilities! It comes together quickly for a nourishing weeknight meal. 2 TBS soy sauce or tamari sauce plus extra for serving. 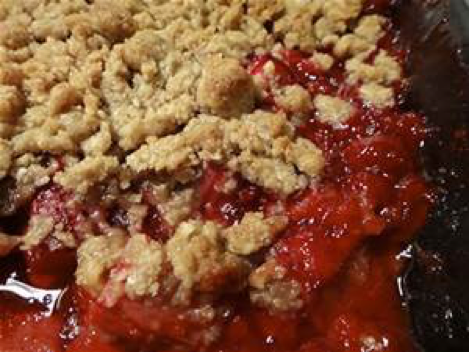 Combine berries, lemon juice, sugar, flour, lemon zest, salt and nutmeg in a large bowl. Bring a large pot of salted water to a boil. Add your noodle of choice and cook according to package directions. Meanwhile, heat the oil gently in a large skillet or wok. Add the garlic and red pepper flakes and stir until fragrant. Add the greens and carrots and stir to coat in oil. Add a quarter cup of water and cover. Allow the greens to cook until tender, adding a bit more water if necessary, but still bright green about 4-5 minutes. Remove from heat. Once pasta is cooked and drained, stir in sesame oil, soy sauce, greens mixture and sesame seeds. Combine well and serve, passing soy sauce for additional seasoning if desired. Trees, Shrubs and Perennials. Would you like to know which plants we love? Be sure to swing by our ‘Staff Picks’ display in the greenhouse to find out which trees, shrubs and perennials are our faves. We love the input our staff has to offer and we hope you do too! With thousands of species on the planet, ants are one of the most successful insects on earth. Ants are not always destructive in the home garden, but can be a nuisance. If you spot ants on your trees, this almost always is a sign of the presence of aphids. Aphids secrete a sweet sticky substance called honeydew, which ants eat. To control ants in this setting you have to control the aphids. First, inspect the foliage on your trees. Aphids are tiny pear-shaped pests and cling to the new growth along the stems or leaves. They’re usually green, but can be yellow, grey, black or brown. Foliage will appear misshapen and may have a sticky sheen from honeydew. Control aphid outbreaks with a strong jet of water, insecticidal soap or in extreme cases, a systemic insecticide. 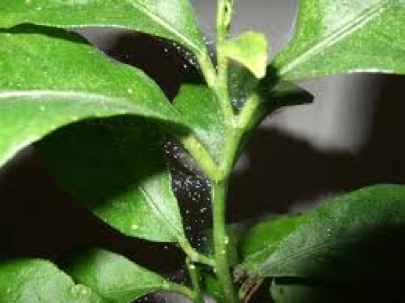 Aphids rarely kill a plant, so depending on your tolerance, your trees will probably be fine with no action taken. Once the aphids are controlled, the ants will eventually leave the area in search of a new food source. While the aphids are being controlled, a coating of sticky Tanglefoot™ can be spread around the trunk. This tacky substance will trap the ants preventing them from climbing the trees. Unless anthills are positioned near living spaces, the hills can be left alone. To get rid of anthill, use an ant bait like Amdro™ or Monterey™ Ant Control. The bait is collected by ants and then returned to the whole colony, killing them. Groundcovers are a valuable component of any landscape. These low, creeping perennial plants are perfect along walkways, borders, rock gardens or as a living carpet. Most attract pollinating insects. Groundcovers will add beauty, texture and interest to your landscape. Snow in summer (cerastium tomentosum): This tough as nails creeper has striking silver foliage which contrasts nicely with other flowering perennials or annuals. Pretty white blooms come out mid-summer. Plant in well-drained soil. Drought tolerant once established. Creeping Thyme (thymus serpyllum): Perfect in walkways or rock gardens, fragrant creeping thyme can be walked on and is the best choice for planting between flagstone pavers. Minute white, pink or lavender flowers bloom mid-summer and will add a splash of color to any area. Plant in well-drained soil. Drought tolerant once established. Dragon’s Blood Sedum (sedum spurium ‘dragon’s blood’): An extremely hardy succulent bearing pretty pink flowers mid to late summer. Deep green foliage turns bright red once the weather cools in the fall. Plant in well-drained soil. Drought tolerant once established. Creeping Jenny (lysimachia nummularia): Also known as Moneywort, this vigorous spreader is great for covering an area quickly. Yellow blooms top the tidy rounded leaves. It likes rich, moist soil. Ajuga or Bugleweed (ajuga reptans): This tough perennial comes in a variety of interesting foliage colors. 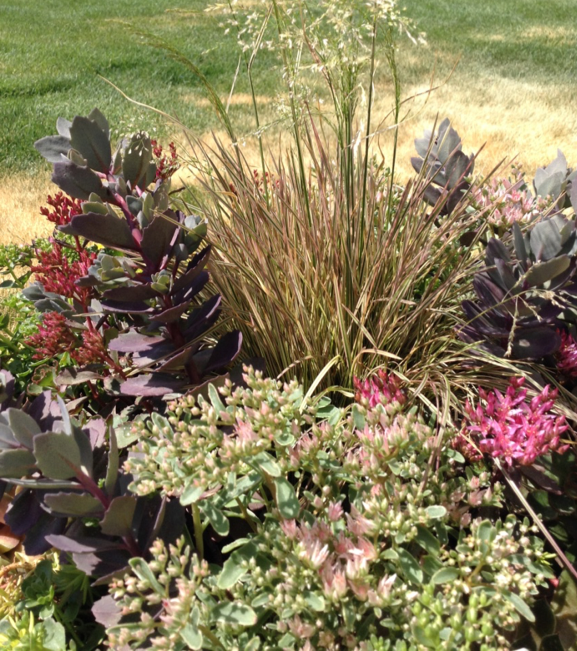 Deep purple, burgundy or reddish-bronze leaves are topped with small spikes of purple flowers early summer. Likes well-drained moist soil. Sweet woodruff (gallium odoratum: Perfect for adding fragrance to a shady spot, this charming ground cover bears tiny white flowers late spring. Prefers moist, well-drained soil. Our garden center and greenhouse are in full swing. 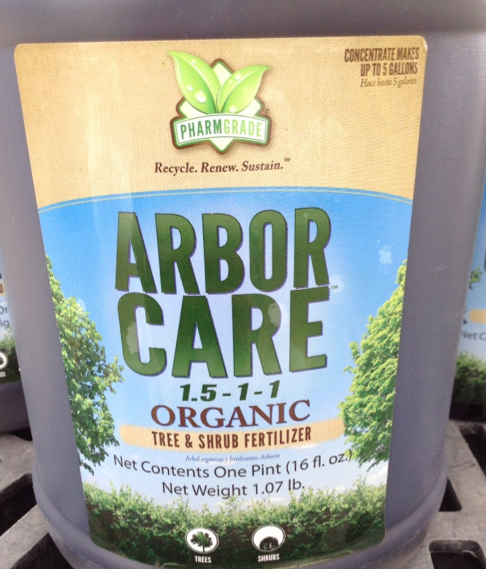 We have a huge selection of potted shrubs and trees in addition to acres of larger ball and burlap trees and shrubs. Whether you are landscaping a new home, planting trees for screening or just need some extra color, now is the time to come by while our inventory is at its peak! 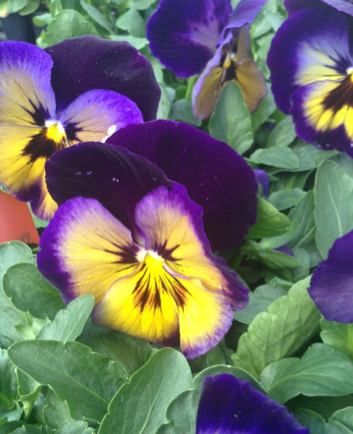 Hanging baskets, veggie starts, herbs, perennials, and bedding plants can be found in our greenhouse complex. Stop by and pick up some color for your home or business. Save the date, our annual Holiday Open House is Saturday November 14th from 9-6. 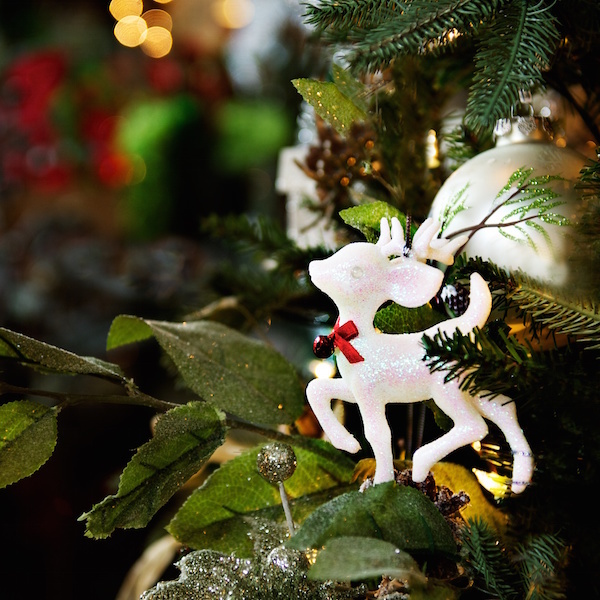 Come and be inspired by our latest holiday displays, décor and abundant ornaments. Save 25% on holiday décor for one day only. Our first 25 customers of the day will receive a free gift. Stop by Marigold Café for a holiday-themed treat, coffee or lunch. Marigold Café will be open from 9-4. Save a trip to the big city and shop locally Friday, November 27th. Everyday items will be 30% off for one day only. 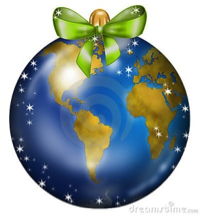 Save time and energy and shop for holiday gifts here. Green Friday Sale excludes holiday décor and Marigold Café items. 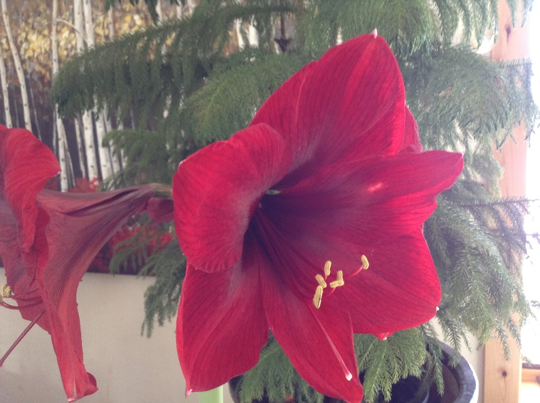 Add a touch of class to your holiday table with a gorgeous fresh flower centerpiece. Fresh flowers are a welcome addition to your home or office. 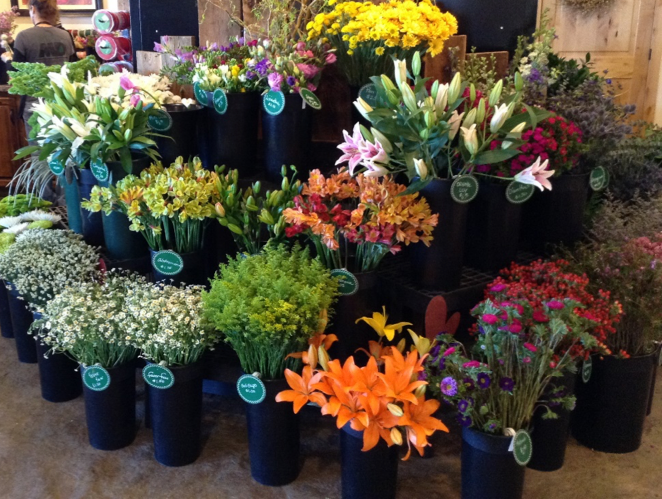 Our Flower Market receives shipments of fresh flowers several times a week. This ensures a steady stream of the freshest flowers possible. 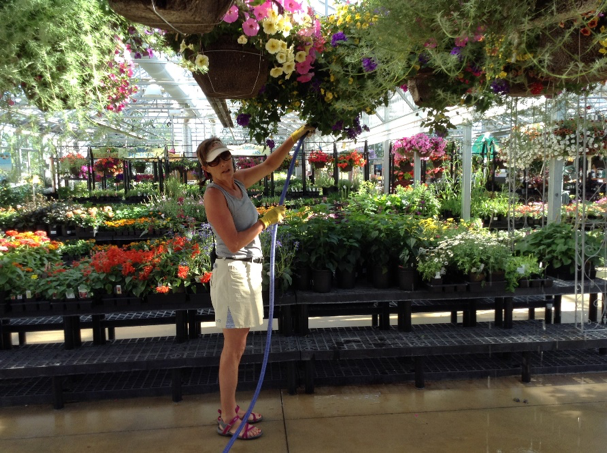 Our floral team inspects, cleans and conditions the new arrivals to ensure quality and longevity. To prolong the life of your fresh flowers at home, cut an inch off the bottom of the stems at an angle using sharp, clean shears. 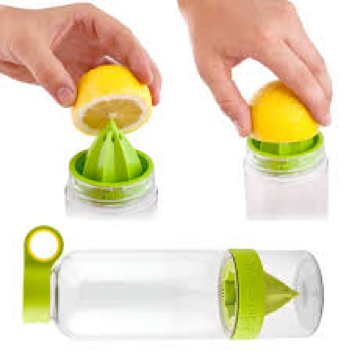 This will help flowers ‘drink’ up water more easily. Be sure to use a clean vase as any lingering bacteria can quickly cause your flowers to decline. Place flowers in cold water mixed with a packet of floral preservative. Change the water in your vase every few days. 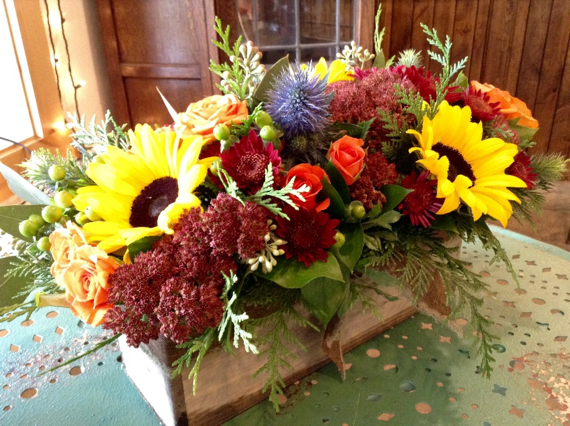 Flowers will stay fresh longer at cool room temperature. Always keep your flowers away from any heat source. Sow wildflower and grass seed: Get a jump on germination next season by seeding now. 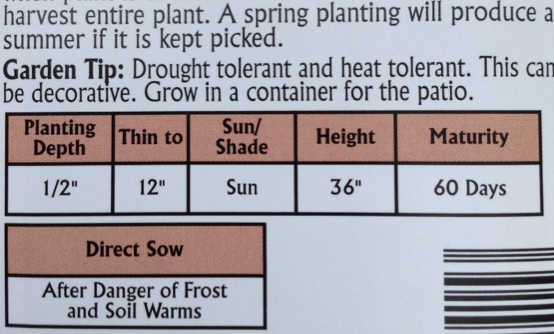 Late fall is great for seeding because freezing temperatures combined with moisture improves seed germination. Remember to irrigate your newly seeded areas next year once the soil begins to dry. Spread granular repellent like Molemax™ over lawn areas to reduce vole damage. Water evergreens: Evergreens continue to transpire throughout the winter months. A deep, thorough soaking will ensure your trees have enough water stored in their roots to offset moisture loss and prevent winter damage. Clean out birdfeeders using warm soapy water and a stiff scrub brush. Refill regularly through the winter. 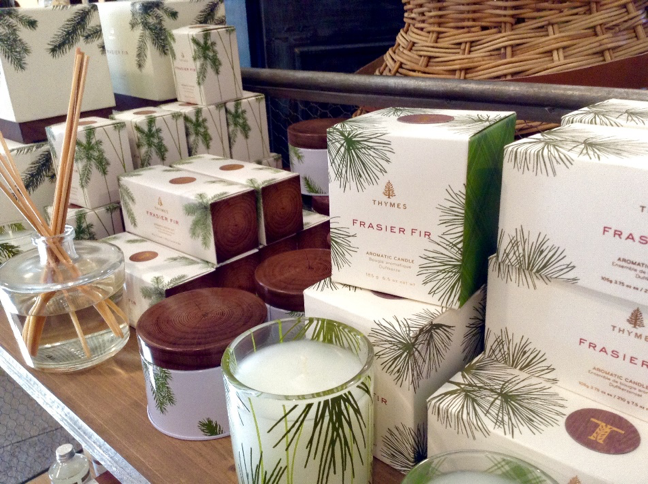 Everyone loves Thymes™ Frasier Fir scented candles and room diffusers. Beautiful journals, calendars and planners: for those of us who still prefer paperover a smart phone. Suet bird feeders attract a wide variety of feathered friends with high energy suet. Aprons: It’s November- cook in that kitchen with style! Houseplants add oxygen and can remove airborne contaminants. Add some to your office for a fresh air boost. Sprout Kits and Seed: Grow food on your kitchen counter. Indoor bulbs: Paper whites, hyacinth and amaryllis bulbs are ready to plant. Congratulations to Laura Ginty, this year’s champion. This whopper weighed in at 8.8 pounds. Purple leaved trees, shrubs and perennials have always been popular. Plants with purple foliage have a high percentage of the pigment anthocyanin in their leaves. This pigment absorbs blue and green light, which makes the leaves appear purple to the human eye. Purple foliage contrasts beautifully with many other foliage and flower colors. Even when these plants are void of blooms, the foliage alone makes a statement. This well loved tree is very popular in this area for good reason. Lovely clusters of white blooms perfume the air each spring and its zone 2 rating makes this one of our best sellers. Plant breeders have been having lots of fun with heuchera in the past several years, introducing us to many interesting leaf colors along the way. Palace purple, obsidian and plum pudding are all popular purple varieties. Heuchera are wonderful in containers along with vivid annuals. Pull them out and plant them in the garden as perennials when the season is over. 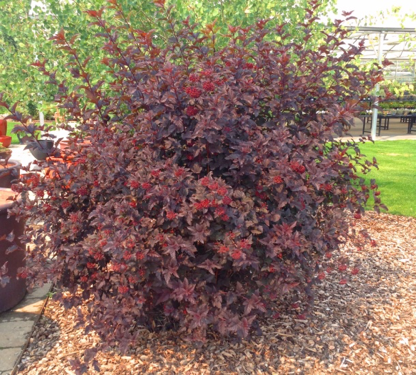 This variety forms a beautiful mound of purplish-black foliage. Light pink flowers each spring contrast nicely with the foliage. The stems combine beautifully with other cut flowers. Long stems of pale pink flowers top the deep purple foliage of this garden perennial. The flowers attract bees and hummingbirds and are nice as a cut flower. Purple emperor, vera jameson and dragon’s blood are all fantastic purple-leafed varieties of these perennial succulents. 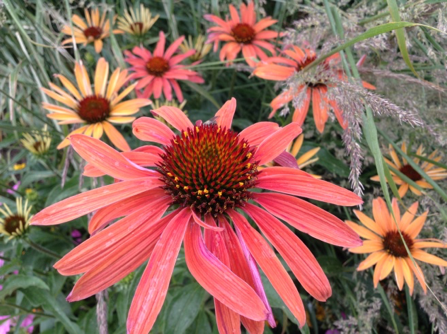 Their bright pink blooms are a welcome hit of color late summer and early fall. Another regional classic, this hardy shrub is well-loved for its fragrant light pink blossoms and its glossy deep purple leaves. 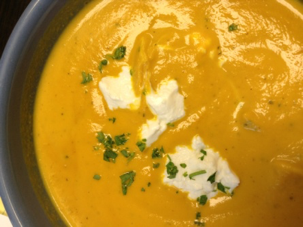 Home grown carrots shine in this simple soup. Peel the carrots first if you plan on using store bought. Serve with homemade cornbread. Serves 4. Melt butter in a pot over medium heat. Add carrots and onions and salt and cook until onion softens and begins to brown, stirring occasionally, about 5 minutes. Add ginger and stir until aromatic, about 1 minute. Add stock and orange peel and simmer for about 20 minutes until carrot is very soft. Remove orange peel and add heavy cream. Puree soup using an immersion blender, food processor or standing blender until smooth. Thin with additional stock or water if necessary. Gently reheat and add salt and pepper to taste. Ladle into bowls and garnish with a dollop of sour cream and herbs. Diatomaceous Earth: This flour-like substance is like crawling over glass to an insect. The insect’s bodies get scraped, causing them to dry up and die. Reapply after rain. 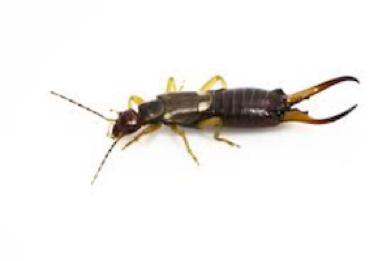 For control indoors: A perimeter spray such as Ortho™ Home Defense can be used around doors, foundations and other points of entry on your home, creating an invisible barrier against earwigs and other crawling insects. Diatomaceous earth can also be used indoors. Yes, bulbs are wonderful for spring color, but did you know that flowering bulbs are also a valuable food source for bees? 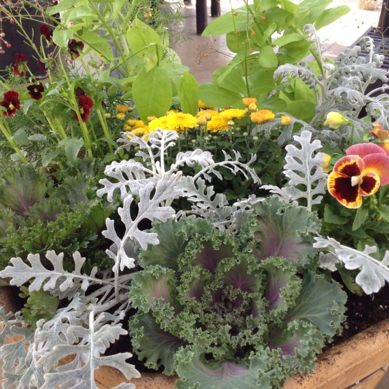 Plant some for spring color and plant some for our pollinators! 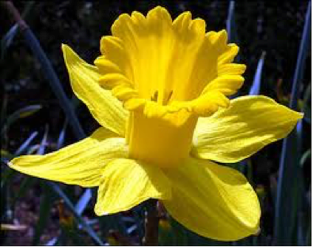 Tulips, daffodils, iris, crocus, hyacinth and other colorful beauties will start arriving after Labor Day. Don’t miss the boat; plant bulbs once, water and enjoy the fruits of your labor next spring!